The Tragedy of a lost Melbourne. As Geoffrey Rush has said, if only Melbourne had kept the grand buildings of the central grid of Melbourne we would have had the greatest Victorian city in the world and they would have come from all over the world to see it. But instead we have a mishmash of concrete steel and glass like any other developing city anywhere. Melbourne has consolidated its position as Australia's fastest-growing city, gaining an extra 95,600 residents in a year in which Sydney gained only 84,200. Although still outclassed by Sydney as a destination for overseas arrivals, Melbourne is doing far better than Sydney at keeping and attracting locals. Professor Buxton's speech at Victoria First - how little government listens to citizens ! Melbourne set to double in 35 years and getting 24% of all migrants to Australia !! We will double in 35 years and we are still getting 24% of the migrants coming to Australia, as requested by Brumby. Hard to believe that Napthine thinks it is great. Time to tell him that we dont. I think I will write to him and tell him. Victoria’s population grew in the twelve months to September 2013 by over 110,000, a higher number than any other state, according to the Australian Bureau of Statistics. This was part of Australia’s population growth in the year to September 2013 by over 405,000, another massive increase. At this rate of growth we will well and truly exceed the 36 million by 2050 referred to as Big Australia, which a clear majority of Australians have said they don’t want. FIRST THE ARTICLE WITH ROZ HANSON COMPLAINING ABOUT PLAN MELBOURNE BEING CHANGED FROM WHAT SHE PRODUCED. Well it so happens that I did not agree with what she did, it was just a different version of Melb 2030, development in the suburban areas, just what we have been fighting against for years. She says that what also concerns her is that the foreign buyers dont seem to care about neighbourhood character. What it is doing is overcrowding us, pushing the price up and making it very hard for the young people to get into the housing market. Can you understand why VCAT always gets things wrong. Can you understand why VCAT always gets things wrong. This might be tenants, but when will this extend to everything where the loser pays. None of us could afford to go near VCAT as we mostly lose. Kelvin Thomson says it right. Why aren’t other MP’s speaking up? Why are we building towers which we don t want and why are they sold to foreigners? And why should foreigners escape stamp duty? We are ruining Melbourne so that greedy developers can make killing and sell apartments to anyone around the world. Can we protect that intangible ‘sense of place’? Whenever a city lucks onto something special – something that makes the rest of the world sit up and take notice – it’s natural to want to protect and sustain it and make it even better. That’s reasonably straightforward when it’s something physical. Sydney’s blessed with a harbour, a bridge and an opera house and in recent decades has worked hard to ensure these priceless assets are looked after. 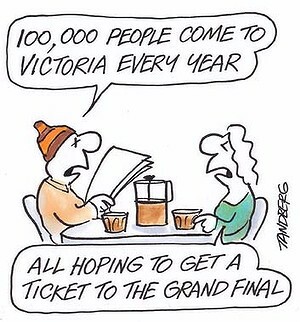 It’s harder when it’s an event, but Melbourne easily found ways to fight off threats to its grand slam status. SUBURBAN streets will be protected from high density development and a permanent growth boundary will be created around Melbourne to stop sprawl under a new planning blueprint for Victoria. 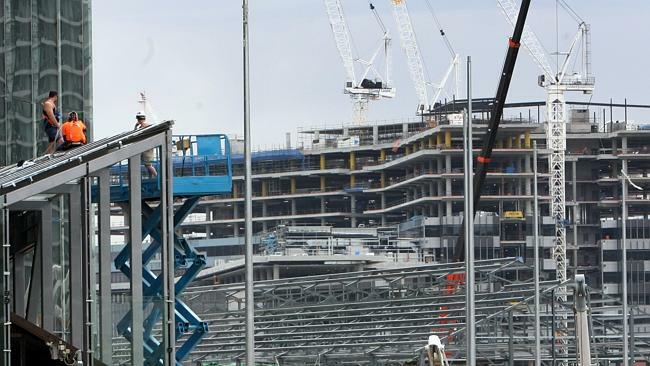 With Victoria's population tipped to hit 8.4 million by 2050, regional towns will become population and employment hubs, while urban renewal projects will drive jobs in Melbourne, the blueprint says. 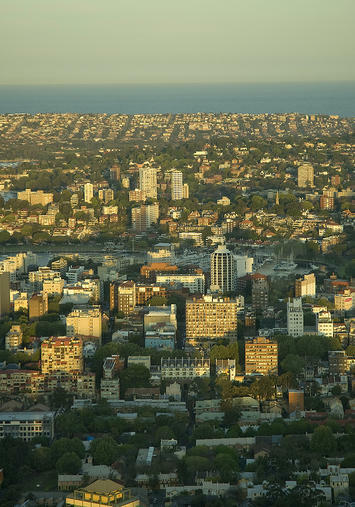 At least half of Melbourne's residential zoned land will be protected from high-rise apartment development, with density to be focused in certain areas, Planning Minister Matthew Guy said on Wednesday. The Victorian Local Governance Association (VLGA) says the announcement of the Metropolitan Planning Authority (MPA) is a missed opportunity to represent Victorian communities. The Victorian Local Governance Association (VLGA) says the announcement of the Metropolitan Planning Authority (MPA) is a missed opportunity to represent Victorian communities. 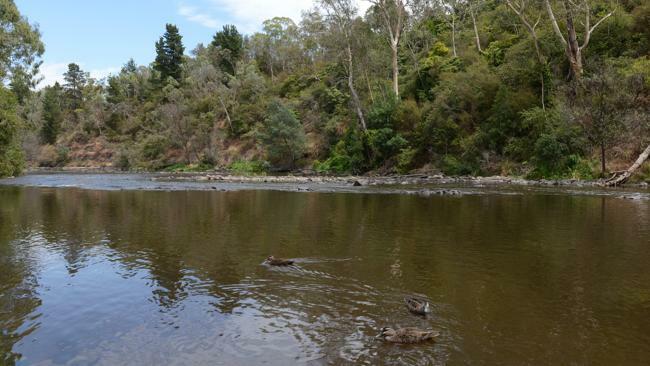 “While we welcome the MPA and the clear plan of action provided by Plan Melbourne, the opportunity for a new, democratic model with new governance arrangements has been overlooked,” said VLGA President Cr Samantha Dunn. “We acknowledge that people in the MPA have experience working in growth areas and have worked with our member local governments on many projects. “However we believe a representative governing body is best placed to oversee the implementation of Plan Melbourne rather than a board of appointed directors. 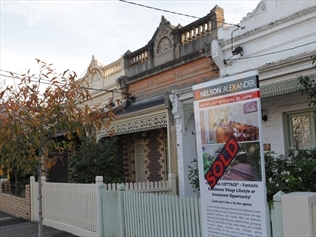 An End to Housing Affordability in Melbourne? The proponents of currently fashionable planning doctrines favouring density promulgate a variety of baseless assertions to support their beliefs. These doctrines, which they group under the label of “Smart Growth”, claim, among other things, that from a health and sustainability perspective, the need to increase population densities is imperative. Share expand Share on facebook Your Friends' Activity Hi Stephen Discover news with your friends. Give it a try. To get going, simply connect with your favourite social network: Facebook Warning over city apartment boom Melbourne’s apartment boom is unsustainable according to a Monash University report to be released today. Source: News Limited INNER Melbourne’s liveability is under attack from an unsustainable boom in apartment developments driven by Asian investors, says a Monash University report. 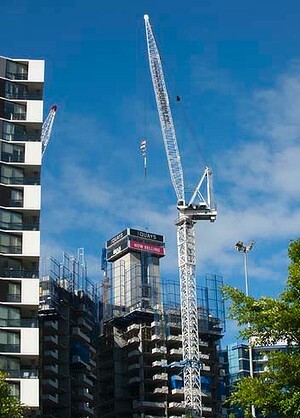 New apartments being built in Melbourne's Dockland precinct. Photo by Jesse Marlow. Monday 18th March 2013. Researchers have forecast an inner-city housing glut. Photo: Jesse Marlow A high-rise housing ''gold rush'' is eroding Melbourne's edge as a liveable city, with an extra 39,000 apartments planned for the next three years, a new report warns. Monash University researchers have forecast an inner-city housing glut on the horizon as the state government pushes ahead with urban renewal projects such as Fishermans Bend, where 5000 new apartments will be built in a decade. Read what Kate Shaw says and see the boost that Mark O’Connor of Canberra gives to MarvellousMelbourne.org. Why is she ignoring population as being at the root of Melbourne’s planning problems? Victoria's population growth has surged to more than 100,000 a year for the first time since 2009, as net overseas migration swelled to a four-year high. The Bureau of Statistics estimates that the state's population grew by 102,000 or 1.82 per cent in the year to March. It was the biggest growth of any state, and in the March quarter the biggest increase from net migration. Council has endorsed the introduction of the Victorian Government’s new residential zones in the City of Boroondara and will now ask the Minister for Planning to introduce the associated planning provisions into the Boroondara Planning Scheme. Council believes the Victorian Government’s new residential zones will offer greater certainty and protection for Boroondara’s unique neighbourhood character. The state of Melbourne's public transport is an acknowledged 'game changer' at Victorian elections.' 'The state of Melbourne's public transport is an acknowledged 'game changer' at Victorian elections.' 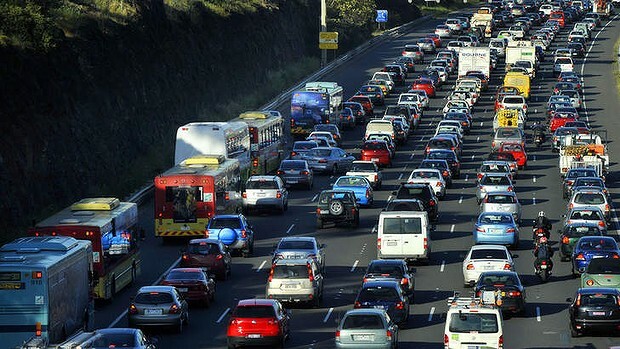 Photo: Craig Abraham The east-west road link, if built, will be a planning disaster for Melbourne. It fails most major planning tests and flies in the face of overwhelming urban science that shows we can never build our way out of congestion. An international urban consensus now regards massive road building as massive folly: not on moral grounds, but because it simply doesn't work. Sustainable Living - Health and residential density ! This is from SOS Sydney and shows the link between high density development and health. Why aren’t governments taking notice? Instead they keep increasing the population and take the pressure of high density developing. AMIDST ALL THE GLOOM HEARING ABOUT DISASTERS ON THE PLANNING FRONT, THIS WAS A PIECE OF GOOD NEWS. FINALLY ACTION IS BEING TAKEN TO TRY TO CORRECT THE BAD LACK OF PLANNING THAT IS DOCKLANDS. Roger Gardner of the Residents Group has been on TV and radio and is most complimentary about this move by the Premier. He says it will be great for Docklands.